NOTE: THIS ARTICLE ORIGINALLY APPEARED IN THE DEMOCRAT AND CHRONICLE. SEE ALL D & C ARTICLES. For fans of naval ship replicas, the unveiling of the U.S.S Langley at the Military History Society of Rochester — as part of the First Fridays gallery openings — the date is already circled in the calendar. William Emerson of Rochester, a retired Xerox engineer, took five painstaking years to construct his nearly 6ft. 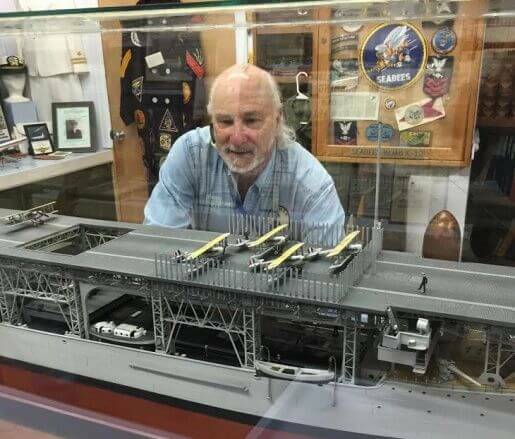 long, 1/96th scale model of the U.S.S Langley, the U.S. Navy’s first aircraft carrier, to be displayed for the first time in public. Fascinated with ship models since high school, Bill has gone on to create twelve major models now in museums across the county, including the Hampton Roads Naval Museum in Washington, DC; National Civil War Naval Museum in Columbus, GA; Naval Aviation Museum in Pensacola, FL. 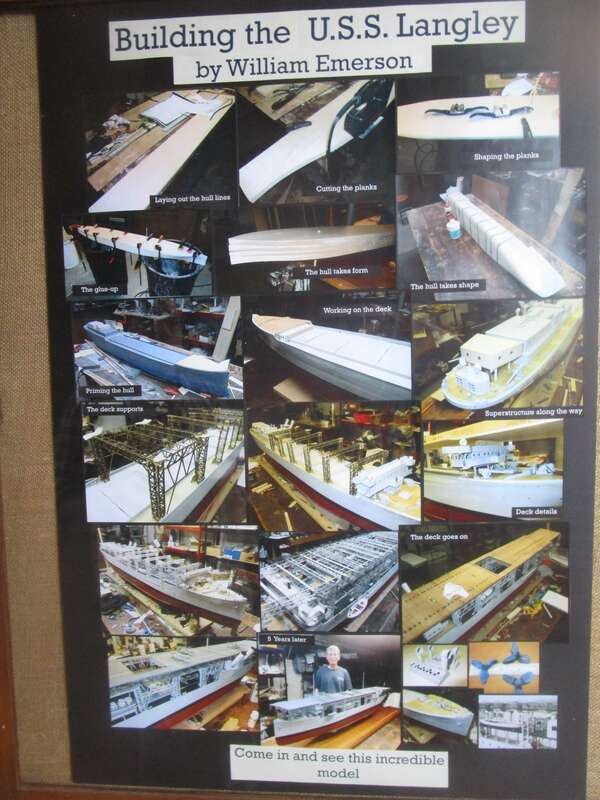 ; Camden Shipyard & Museum in Philadelphia; and The Glenn Curtis Museum in Hammondsport, NY. A prolific writer on his subject, Bill’s work has been featured over five times on the cover of prominent modeling magazines. Quite a treat for hobbyists and the uninitiated alike, this is the only time one of his models has been exhibited in Rochester. Probably within a few months, the Langley will find a permanent home in an appropriate venue. While the picture is worth a thousand words, the image pales in comparison to seeing the facsimile carrier–its grandeur and unmatched detail–up close and in person. As the Langley will be soon shipping out to a port not yet known, don’t miss the boat! Premier opening: First Friday, September 4th from 6-10 pm at the Military History Society of Rochester, 2nd floor of the Anderson Arts Building (the old Fabrics & Findings) on the corner of 250 N. Goodman St. and Anderson Avenue. Bill will be present to discuss his work. 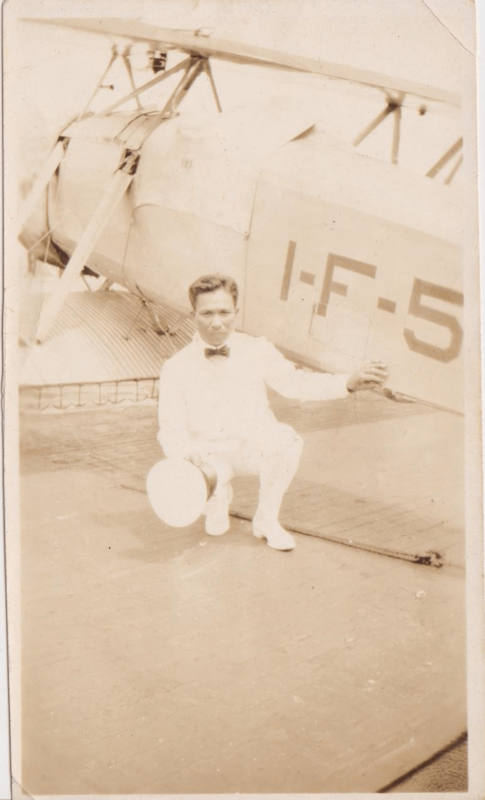 My grandfather, Daniel Altre, was a native Filipino, naturalized by his service in the US Navy starting in 1913. In the early 1920s, he served aboard the USS Langley. He was a resident of Rochester from the mid-1940s until his death in 1956. As a Filipino, my grandfather could never have been an officer; they were restricted to being the waitstaff and other menial jobs. 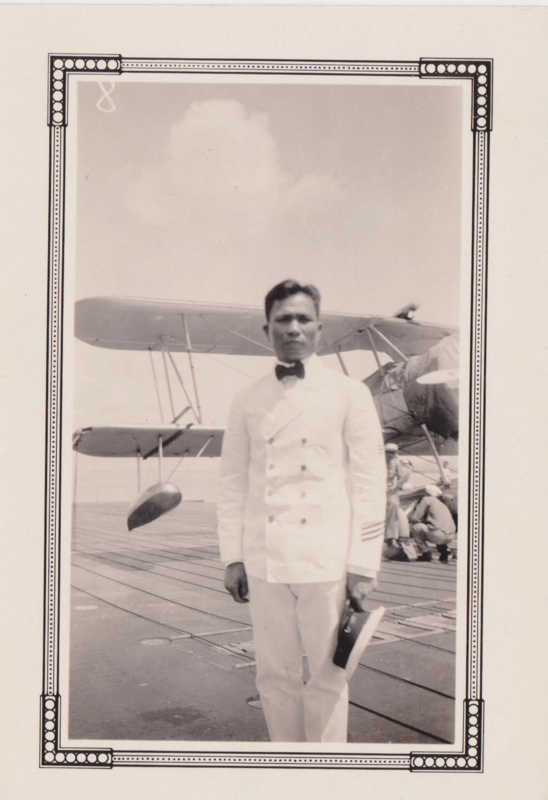 He was recalled to service in World War II when he was in his 50s, and he was mustered out after the war as a Chief Steward, the highest rank a Filipino in the Navy could attain in those days. UPDATE: According to Chuck, Opening Night drew over three hundred people to the museum. Emerson said that was ten times more than have ever attended a previous exhibition. Given the response, the Langley may now stay permanently in Rochester.